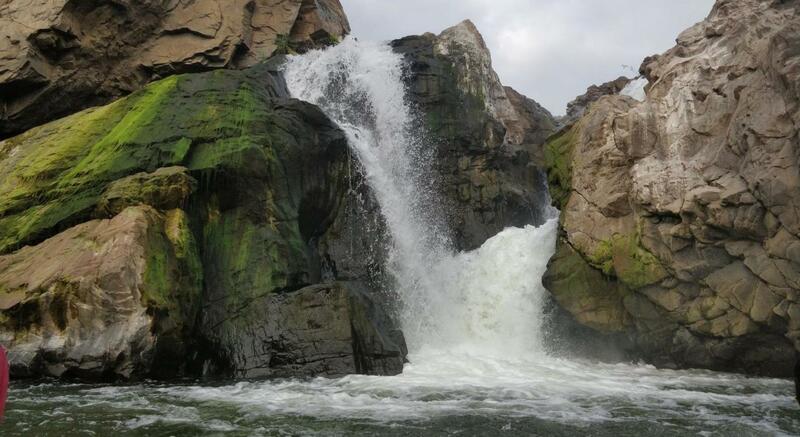 At just a distance of 146 kms of Bangalore, Hogenakkal Falls is a majestic place to soulful solace and ardent adventure. The name is derived from two Kannada words Hoge and Kal which mean Smoke and Rocks respectively; thus, Hogenakkal can be called as Smokey Rocks. The waterfall is built on Cauvery river in Dharmapuri district of Tamil Nadu. You probably would feel the touch of a different world by glaring at the mesmerizing 14 channels waterfall with drops varying between 15 ft. to 65 ft. Among the greeneries, one can find Carbonanite rocks in abundance that is known to be one of the oldest rocks in the world. Your equipments & equipments distributed to be carried by self. Like bags, sticks, etc. As you are exploring nature, don’t expect washrooms near hills. Washrooms only available at hotel, campsite & home stays are multi-sharing basis. (we reach hotel/campsite for breakfast or lunch). Don’t expect electricity & luxury in the camping area.